Last summer (2017), after returning from my first ever teaching English as a foreign language experience in Italy for three weeks, I worked in a summer school a little closer to home with UK Language Courses. Their centre at Queen Anne’s school in Caversham is located on the other side of Reading to where I live and come from. This summer, I returned to work with UK Language Courses at the same place, and teaching with UKLC felt very different from last summer. Last year, I was still a University student. Interestingly, the day I started work with UKLC this summer was the same day that I found out my final degree result from Swansea University, so it was a stressful and emotional day. This year, I was also teaching with UKLC ahead of heading out to Hohhot, in China’s Inner Mongolia region to begin a full-time career in TEFL with EF Education First, something which I am most excited about, if also a little bit apprehensive. 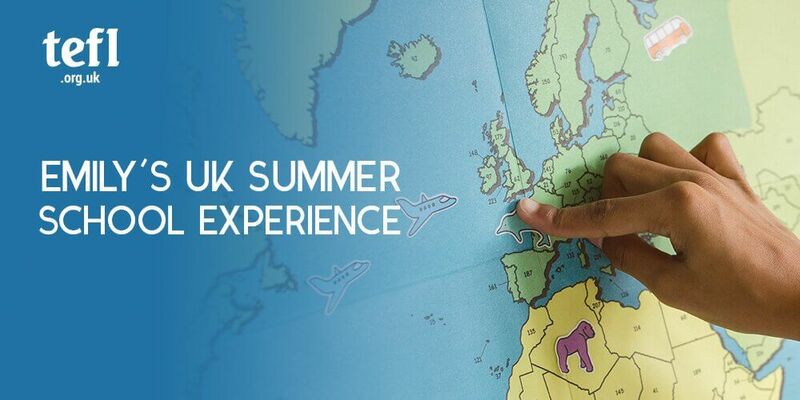 I absolutely enjoyed working with UKLC this summer, more so than I did last year – I felt that I got more out of it and fitted in a lot better. However, it was also very busy and the most intense four weeks that I have ever gone through. It was different to last year in the sense that in 2017, I was a ‘Teacher & Activity Leader’ for the full three weeks that I was there, whereas this year, for the first two weeks, I was a ‘Full Time Teacher’ and then a ‘Teacher & Activity Leader’ again for the second two weeks. Full-time teaching meant that I was teaching in the morning and in the afternoon, for 6 hours a day, so it meant that I was getting a lot of teaching experience and practice, just what I need before going out to China! I also thoroughly enjoyed being able to teach different types of lessons, including TBL and CLIL lessons, as well as a project in the final week – this gave me the chance to combine my love of teaching with my passion for media (having been very involved with my University’s students’ newspaper during my final year). I had my class creating a ‘UKLC Reading Newsletter’, as well as teaching students with various levels of English (mainly B1 and B2 level teenagers) from a variety of countries in one classroom – France, Italy, Spain, Latvia, Russia and also China. In my role as ‘Activity Leader’ during the second fortnight I helped in activities with a group of 24 Chinese students, which was really fun! Another thing I really loved and appreciated about teaching and working with UKLC again this year was the support I received from the centre management in regards to my teaching and also with developing myself and my confidence and experiences as an EFL teacher. I had the chance to talk my lesson plans through with the Course Director and receive advice and guidance with my lesson planning, as well as with teaching, including having the opportunity to observe more experienced teachers. This was something I found really useful and very valuable. This time last year I was preparing to go into my final year at Swansea University, where I studied Modern Languages, Translation and Interpreting, but I had no idea that I would later on make the decision to go into TEFL after my studies. Furthermore, I had my initial interview with EF Education First on Skype less than a week after my final exam where I was then given three city choices – Baotou, Hohhot and Suzhou. After lots of research, I chose Hohhot, had an interview with the Director of Studies and was then offered the job! Going to China is undoubtedly going to be a huge new adventure for me and I’m so excited. I am grateful to UKLC for having me back for a second summer because it’s given me a month of experience, advice and support and more confidence in regards to my TEFL journey, which I’m still only just a mere fledgling in! Also, among all the excitement and craziness that is a summer school, I graduated from Swansea University! Preparing to move to the other side of the world for 15 months takes quite a lot of getting used to. There’s a lot of practical stuff to organise, such as a VISA, and simpler things like banking and mobile phone contracts. However, the emotional side of things, such as the thought of not physically seeing family or friends and my cat and my dog for at least 15 months, as well as the thought of my first ever long haul flight, also takes a lot of getting used to. If you would like to keep up with my TEFL adventures once I get out to China, visit my blog Em’s Adventures.